At the ripe old age of five, Sarah M. Eden wrote her first book. Entitled “The Sun,” this work of literary genius contained such awe inspiring passages as, “The sun is yellow.” It was a ground-breaking success among the kindergartens of Roadrunner Elementary. On the heels of this triumph, she went on to write absolutely nothing for many, many years. 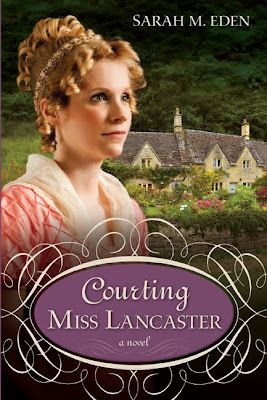 Now, at the ripe old age of a bit more than five, Sarah has ten historical romances to her name, including Courting Miss Lancaster (2009), The Accidental Wife (2010) and 2008 Whitney Award Finalist,Seeking Persephone. When not reading, writing or researching, Sarah spends her free time avoiding responsible things like cooking dinner, doing laundry and sleeping regularly. She can be found on the web at www.SarahMEden.com, where she makes friends, influences people and entertains herself. Sarah: When the voices in my head told me to be. Actually, I wrote my first book kind of on a dare. I was not an avid reader growing up like many authors are. I hadn't always wanted to write, though I did enjoy making up stories. Writing wasn't on my radar screen until my mother suggested I try writing a book instead of getting so frustrated over the lack of good books. I gave it a shot and was almost immediately addicted. 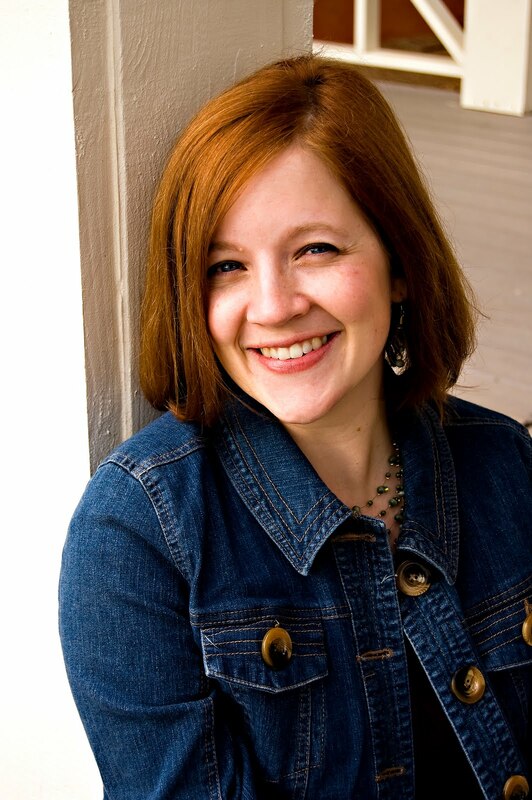 Sarah: I earned my Bachelor's degree from Brigham Young University. I did not, however, major in writing or English or literature or romanticness or anything that might make sense for a future romance writer. Mine was a research major, one in which I gathered data, ran statistical analyses, came to conclusions based on theories and other research and then wrote a very uncreative, unfictional thesis. I loved it, because I have this sickness: I enjoy numbers and research. So, when I decided to try my hand at writing, I had a lot to learn. I grabbed every how-to book on writing I could find, attended writing seminars, joined writing groups, etc. Eventually I might even figure out what I'm doing. Sarah: When I write, the voices in my head get a lot quieter. Sometime they're quiet enough that I actually sleep. So, I guess you could say, my desire to not go completely out of my mind is among my chief reasons for being passionate about writing. That and it's a really good excuse to not clean my house. Sarah: Winding and exhausting. I began as a self-published author. I write very traditional Regency-era romances--think Jane Austen but with slightly modernized language. Traditional Regencies are always "clean" reads and, sadly, there's not much of a call for those among national publishers. So I published my works myself while I hoped and prayed and looked around for a better alternative. My novel Seeking Persephone was chosen as a Whitney Award finalist in 2008 and, as a result of that, came to the attention of Annette Lyon. She and I became friends (something for which I am infinitely grateful) and she told me that I ought to try submitting to Covenant, the company she is published with. I followed her advice and, as they say, the rest is history. Sarah: An author who has never been discouraged isn't working hard enough. You can quote me on that. Discouragement is simply part of this industry. That alone is reason enough to have a group of fellow writers you can turn to for support, advice and encouragement, people who know where you're coming from and know when to pat you on the back and when to kick you in the pants. I am fortunate enough to have several really close author friends who do this for me: Annette Lyon, Heather Moore, Michele Paige Holmes, LuAnn Staheli, Robison Wells, Jeff Savage, Janette Rallison and Donna Hatch. I'd be a total and complete mess if not for them! Sarah: It depends on the time of year. During summer vacation I write after my kids go to bed. During the school year I write while they are at school. I set an alarm for myself for an hour or two, disconnect the internet, turn off the ringer on my phone and hunker down. For those couple hours I'm not allowed to do anything but write. If I hit something that needs to be researched, I make a note to myself and keep going. One day a week my writing time is for researching. If I have emails, interviews, etc. to do, I set aside separate time to do that. It's a little rigid, but it helps me concentrate and not completely neglect everything else I need to do. Sarah: My stories always begin with a character. I'll think of a possible hero or heroine and a problem, quirk, etc. that they have and the story generally grows from there. Sometimes the original idea I had is tossed out and something new takes its place, but that's where it begins. How do I know if it's any good? Honestly, I don't know until I've tried writing it. I have an entire folder on my computer stuffed full of ideas that turned to be no good. Sometimes I can tell within the first couple chapters. There are a couple manuscripts that I actually completed and then, looking back over them, realized they were crummy. I hold out hope that someday I'll pull them out again and figure out how to salvage them. Deirdra: Can you tell us a little about your book The Kiss of a Stranger. Sarah: The Kiss of a Stranger was actually the first book I ever wrote--the one I wrote because my mom essentially dared me to. It was originally self-published under the title The Ramshackle Knight." It has been out of print for some time now and, thanks to my fabulous publisher, Covenant, is available again. I had the fabulous opportunity to go back and fix it up, making up for mistakes I'd made at the time out of ignorance as an author and a historian. The book tells the story of a young lord, Crispin, Lord Cavratt, who, by the end of the very first chapter, has made a complete mess out of his life. He thoroughly and extensively kissed a woman in the garden of a country inn, thinking she was a mere serving woman and, therefore, such a thing would be no big deal. He quickly discovers she is actually a lady of birth. Her uncle forces and engagement and an almost immediate marriage. Now Crispin is faced with the daunting prospect of putting things right. Could theirs become a true marriage of the heart, or are has he managed to ruin both their lives? Deirdra: What do you think makes authors (especially LDS authors) so unique from the rest of society. Sarah: I've often said that if authors were ever psychoanalyzed, we'd universally be declared completely out of our minds. Think about it. We talk to the voices in our head and, worse yet, they answer back and, worser still, we obey them and do what they tell us to do. Then we gather together in droves and celebrate this sickness we all share. It's madness. Complete and utter madness. Sarah: My husband hears everything I write before anyone else, so he's my "Alpha Reader." I have my critique group, The Superb Seven, Annette Lyon, Heather Moore, Michele Paige Holmes, LuAnn Staheli, Robison Wells, Jeff Savage and me. They help me fix my manuscripts as I'm writing them. Once completed, I send my manuscript to five beta readers who help me find plot wholes, characterization errors, etc. They each have their own area they're particularly good at and they never let me down. With the last manuscript I sent out, one of my readers (hi, Jewel!) found a HUGE problem that will take eons to fix but will make the book so much better! I probably owe her a lot of chocolate. Sarah: First and foremost, my books are meant to be a pleasant escape. I want readers to walk away from them feeling refreshed and uplifted as well as entertained. On a deeper level, though, I try to make my books something of an exploration of humanity. Though I write humorously, my characters have real-world problems and difficulties. I would hope that seeing them work through their struggles would offer some encouragement to readers who are facing difficulties of their own. Oh, and I hope my readers laugh. A lot. Sarah: I'm somewhere in between. Once I have an idea, I sit down and do very extensive character sketches. Very extensive. Once I feel like I know my characters pretty well, then I do mountains of research. I want to know everything I can about the time period the story is set in--down to what happened on a specific day in a specific location, significant world and national events during their lifetime, etc. I research occupations, the schools where they might have been educated, social expectations, etc. After all that, then my approach is "sit down and write." I don't outline the plot, though I sometimes have a general idea of where it's going. I guess I'm more of an organic writer. Every single book I have ever written suffered from what I call "a sagging middle." I think it happens to every writer. You reach a point in your story where either you are burned out or you don't know where the story goes next or you've written yourself into a corner, etc. For me, the best approach has always been to walk away for a while. I'll work on another project, perhaps start something new. I give myself a couple weeks, sometimes as much as six months, before coming back to it. The trick is during that time the story is percolating in the back of my mind, my "muse" is working out the issues. When I come back to it, I usually have a fresh perspective and the motivation to push through or rewrite or whatever needs to be done. Sarah: Complete silence makes me twitch. I always have music playing in the background. I choose music that fits what I'm writing--a tense scene needs tense music, a romantic scene needs lovey-dovey music, etc. My other musical requirement is that the music not have lyrics--I get too easily distracted. Most of my writing music is classical or movie/television scores. Sarah: Research. I know that makes me sound like a dork, but I am a dork. I am constantly researching the time period in which my books take place, even if I am not actively formulating a new story or looking for specific pieces of information. For me, this brings the entire era to life and it becomes real to me. The connection I feel to the people of this time period and their struggles and joys and difficulties is both motivation and inspiration. Sarah: It's hard to come up with one person who has had the greatest impact. I don't think I could, honestly. That's a lame answer, but there you go. Sarah: I give them flaws. It may seem odd, but I have found that once I pinpoint what their quirk or flaw or problem is, that is when they become real to me. No one can relate to a perfect person. Whether their flaw is so engrained and horrible that they then become the villain, or it is a failing they are trying hard to overcome, endearing them to me, every character I write has flaws. Often their strengths are directly related to their weaknesses. It makes them well-rounded and realistic. Sarah: Cheetos. End of story. Sarah: I like to sing and I play the piano. I can tie a cherry stem with my tongue. I have recently learned to drive in snowy weather. I was a dancer for many years (but my severely messed up joints put that to a swift end). And I draw absolutely fantastic stick figures. Sarah: What you want has to be more than that. If simply having a book in print is your end goal, you'll find it isn't sustaining. Being published cannot be the final destination. For me, my goal is to reach the point where I can look at my own work and know with confidence that it's good--more than good, that it is amazing. That means learning everything I can. It means working hard every day to get better. Working toward being published is part of that, certainly, and can be an important step on the road. But that's just it--it's a step. Once you are published, the journey isn't over. Sarah: I've pretty much reached my "words that sound remotely wise" quota for the day. I run out of intelligent-sounding catch phrases really quickly. So, I guess the answer is no. We are having a double book launch with Sarah For "The Kiss of a Stranger" and "Mark of Royalty" The more I read about Sarah and her book the more excited I get! Nice to meet you Sarah. Your book sounds like a great read. All the best of luck. Great stuff. Your critique group is amazing, Sarah! Thanks for all of your "wise words". Oh, I LOVE, LOVE, LOVE Sarah's work! I feel doubly lucky that she's in my writing group now. Just for the record, Sarah Eden is my most FAVORITE regency writer. You will not be disappointed one whit.